WTF Is BRT? Join Us Monday for a Discussion of Buses Over Beer. Bus rapid transit, or BRT, is a new transit service coming to East Colfax Avenue that could be a game-changer for Denver. You’re invited to discuss it Monday over happy hour drinks and Indian food at Our Mutual Friend Brewing Company. When the new line is complete, the buses on Colfax will seem more like streetcars. They’ll have their own lanes running down the center of the street. Stations will have real-time arrival displays, shelter from the elements, and ticket vending to speed up the boarding process. Traffic signals at intersections will prioritize the efficient movement transit. In short, people on buses will get where they need to go faster, unobstructed by other vehicles. 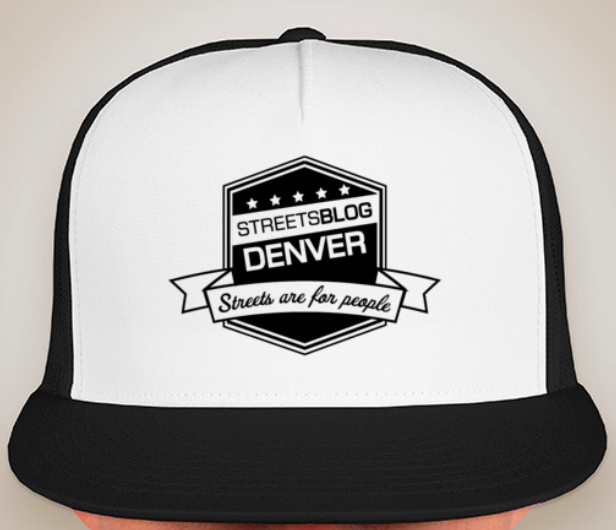 BRT is a new thing for Denver, so Streetsblog wants to help demystify it during a casual, open conversation with experts – and with you. Ryan Billings, the Colfax BRT project manager, will be on hand. So will Carlos Hernandez, a transportation planner who has worked on several local projects, including the Broadway redesign. I’ll be there to ask and answer questions as well. It’d be great to do this in the actual corridor where the BRT is being proposed. Hopefully connecting with the neighborhoods that will directly benefit from the BRT, spreading the word about its positive impact. That would be great. Let me know if you know of a spot that will donate some free space. OMF offered to open the place up on Monday solely for the event, which is why it will be there. Thanks! Don’t have a relationship or know whether they’d be interested, but similar venue would be Fiction Brewing at Poplar and Colfax. I’m looking forward to the event though, thanks for putting it on. Or maybe Cerebral Brewing at Monroe and Colfax. Thanks for the presentation and discussion tonight, and for Bijou’s! This sounds like a well-planned project. I assumed that bike lanes wouldn’t fit into the Colfax BRT plan, due to the width of Colfax. But, I’d love to know more about how 16th Street would absorb all of the bike traffic along with vehicles who are, like the gentleman tonight asked about, circling through the neighborhood to get to the businesses off of Colfax. Are improvements planned for 16th or will bikers be worse off by having to compete with an increase in traffic? East of East High School, how about calming traffic by converting one traffic lane to a protected bike lane on 17th Street next to City Park, from the new bikeway going in on Garfield St and City Park Esplanade? This would connect nicely to the existing bike lane on 16th Street just past the high school. West of York St could be turned into a parking protected bike lane all the way to downtown. What a bikeway that would be!